I love Ariol. The characters and stories are so cute! This book is different from all the others as it is one long story rather than a collection of short stories. It was published between books 6 & 7. 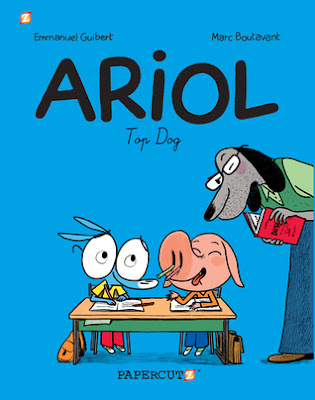 Ariol goes to visit the little girl cow he's in love with but her bull dad and 16yo brother monopolise all his time. I really enjoyed this and any fan of the books will also. You also don't have to have read any of the others to get this one. Another Ariol! Yeah! Always a pure delight. Just good, clean, elementary school fun. A lot of the usual, Ariol in love with Petula, Bizbillah in love with Ariol, and Thunderhorse antics. The book ends with a longer connected story though as they go to a fair, have fun on the river and Ariol gets sick for Petula's party. 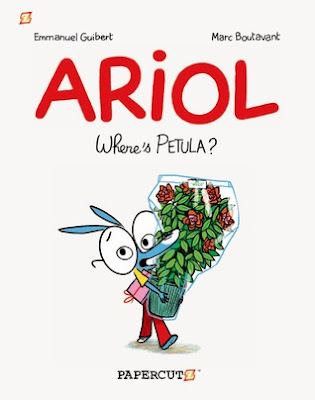 Kids of all ages will love Ariol.